Following an article in Home magazine’s December issue, a short interview with Pete’s thoughts on this project has been published on the Home website, along with some photos of this impressive holiday home, please take a look over here. 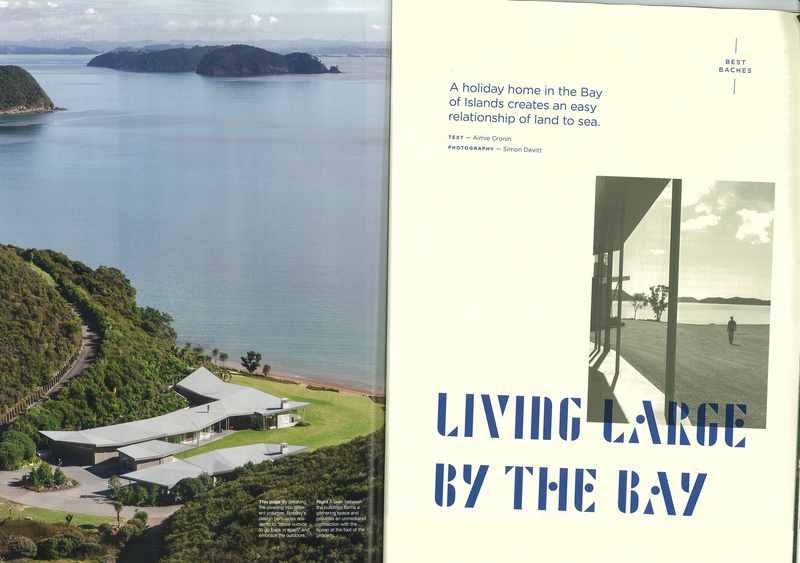 Bossley Architect’s Fold house is featured in this months Home magazine, alongside some other exceptional New Zealand baches, perfect summer reading. “On arrival, you see it in the same way you might if you slowly opened your eyes from sleep to find something totally silent and encompassing right there in front of you” from the article written by Aimie Cronin.